Please visit the links to the left of the page for more detail on these fine schooner sailing opportunities. Upcoming events are listed below and the full schedule for each program is listed via the link to the left. Join us on one of our scheduled theme cruises, such as, "Boating & Baseball," where you set sail for an afternoon on board the vessel and then take in a baseball game at the nearby Nationals' Park. In the spring, we offer spectacular Cherry Blossom Cruises as well as Mother's Day and Father's Day events. 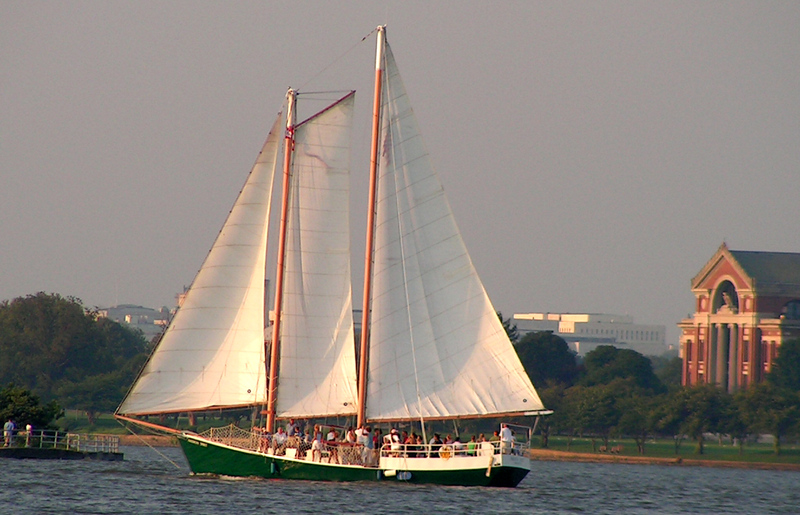 There is no better venue than American Spirit to view the nation's capitol fine fireworks display on 4th of July ~ Pack your picnic and come aboard for a fabulous night time sail and view the show from the deck of our gorgeous schooner. Private charters are perfect for corporate outings, birthday celebrations, alumni gatherings, or most any get-together. She has also been the venue of choice for small weddings and engagements! 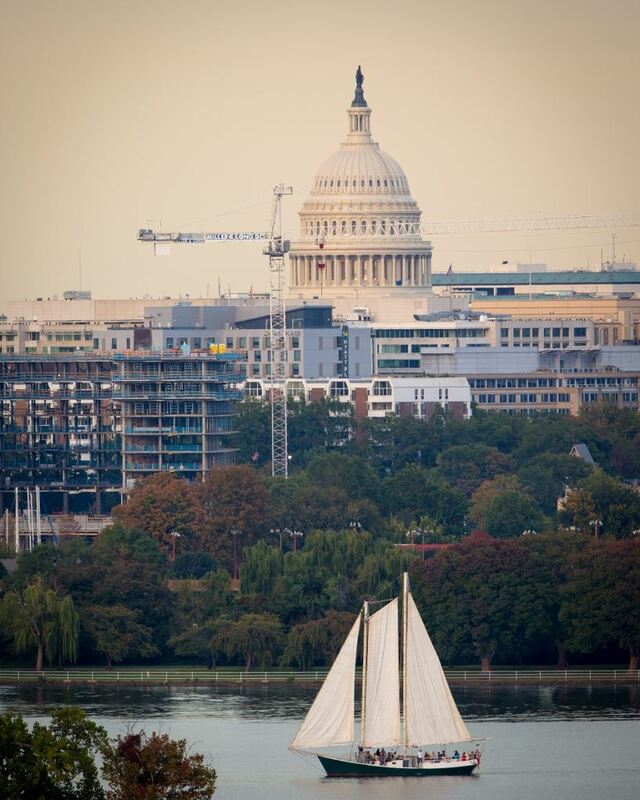 The American Spirit can also serve as a floating classroom for students through its Maritime Education Program Educational Sails for school groups. American Spirit is certified by the US Coast Guard to carry 40 passengers and is wheelchair accessible. Please contact Director of Business Operations, Traci Mead, for further information and how to go about booking the vessel.